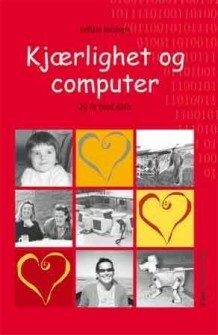 The Faculty of Information Technology, Mathematics and Electrical Engineering (http://www.ntnu.edu/ime) at the Norwegian University of Science and Technology (NTNU) has a vacancy for a 100 % position as a postdoctoral fellow within news recommender systems and weLead at the Department of Computer and Information Science (IDI) (http://www.ntnu.edu/idi). The appointment is for a term of two years of full-time research, with no teaching obligations, starting latest 1stJanuary 2017. The position of post-doctoral fellow is a fixed-term position with the primary objective of qualifying for work in top academic posts. The selected post-doctoral fellow is expected to assist in a significant contribution in project applications for external funds. The position represents an excellent opportunity for an individual to develop his/her career and contribute to the further development of the collaboration. (https://www.ntnu.no/wiki/display/smartmedia/SmartMedia+Program) and work as a member of the RecTech project on news recommendation. RecTech is an industry-driven research project that will use new semantic approaches and advanced data mining techniques in the development of the next generation news recommender systems. In particular, the postdoctoral fellow will explore the use of computational linguistics and linked open data in real-time news content analysis and summarization, and apply Big Data algorithms for understanding, classifying and profiling online news readers in context.